We don’t create “cookie-cutter” resumes. You will receive a powerful, effective and uniquely-written resume created specifically for you which demands attention and delivers results! I’m a stickler. I personally build most of the resumes, and the ones I can’t personally get to are created by resume builders who were trained expressly under my tutelage. 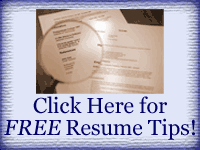 I also personally review each and every resume to make sure it meets my high writing and organization standards. I make it my business to make absolutely sure that every resume is written with the same utmost care as I would write my own resume. 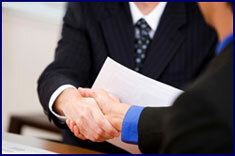 Our fees are reasonable and individually estimated for the specific service(s) you require. Unlike many other resume companies, we do not create “cookie-cutter” resumes with “cookie-cutter” prices. We know that each resume is uniquely different. We’re not finished with your product until you say we’re finished. If you don’t like what you see, or you don’t get a job interview within 30 days of receiving your resume, we’ll write it over again for FREE! We are genuinely interested in your goals and desires. It’s not only our job to get you your dream job: it’s our passion! We’ll be there supporting you throughout the entire process – from the resume to the job offer and everything in between! I have had a deep passion for writing since the time I wrote my first short story at the age of 8 (it was entitled The Underwater Time Machine). While I attended college in Oklahoma, I interned in a work/study program as a writer/editor/researcher for a multi-million dollar news organization. I learned many lessons and skills about powerful and impactful writing from a handful of very competent and talented professional writers from whom I was blessed to learn. After college, I worked in a family-operated construction business for a few years, during which I was able to acquire, practice and fine-tune the skills of performing job interviews and hiring. Soon thereafter I got married. Over the years, my passion for writing never abated; it actually intensified. So, with the help of a health ailment which left me too physically fatigued to continue work in construction, I enacted a career change and began writing fulltime. After working as a writer and editor for a resume company which mostly created resumes for executives, I found that I could write better resumes for more reasonable prices. I also discovered (much to my chagrin) that many resume writers do not take the individual time and effort necessary to build just the right resume package for each of their customers. Sadly, it seemed they just wanted to get through “the job” as fast as possible and onto the next one without any thought about the outcome of their professional work. I felt job searchers deserved much better. Thus, with the urging and support of those who had seen and were rewarded by my efforts as a resume writer (including my lovely wife and greatest fan, BethAnn), I started my own resume writing business and became a fulltime professional resume builder. Savvy Scribe Resumes is a subsidiary company of The Savvy Scribe, which was started in May of 2007. It is a family owned and operated professional business which prides itself in providing career hunters with all they need to get the job they desire and deserve. Our passion is to use our resume building and job interviewing skills and experience to give you the tools necessary to land the job of your dreams! We will walk you through the whole process – from the start of your job search to landing your new job! That’s what we believe a professional resume company should do! My team and I are here to serve you in your search for the job which not only pays you handsomely for your efforts, but also brings you peace, joy and happily out of bed each morning. Tap into the passion, integrity and “savvy-ness” provided by Savvy Scribe Resumes! Click here to commence the journey to your dream job today!